Thoughts from a Traveling Tech: Attitude or Education? 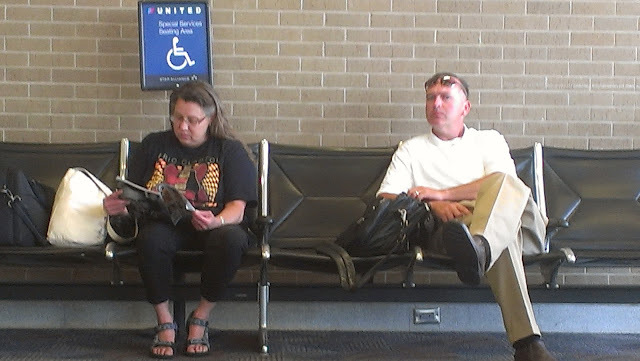 Sadly, I see this all the time, and I am puzzled by why people feel they are so entitled to sitting close the gate that they will sit down and take up space in an area clearly marked for those who truly need to be closer because of their disability. I will admit that I recently parked my can in a disabled seating area at a airport, but in that case there were very few other non disabled seats, and a massive amount of disabled seating (about half of the seats in the seating area were marked as disabled for some reason) so I had to take a seat in the disabled area. However, these people walked up past all the empty non-disabled seats and plopped their backsides down in the disabled area. I have to wonder what causes someone tho act this way. Is this because they can't read, or is it because they feel so entitled that they will sit there anyway?